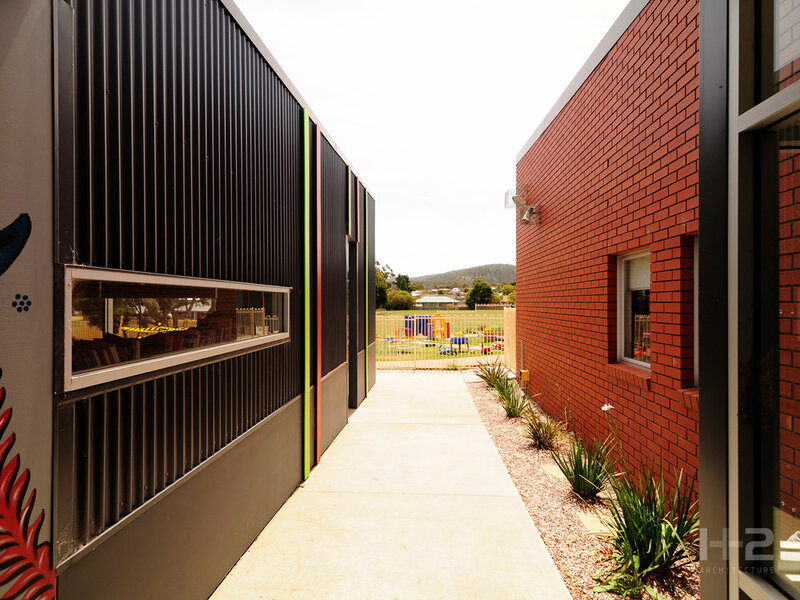 At John Paul II Catholic Primary School we were asked to consider an over-all approach to improving the functionality, flexibility and accessibility of this school campus. It required us to achieve maximum value for money while maintaining the level of quality and robustness required by a junior school environment. New works involved major refurbishment of existing buildings and the construction of a new library, kindergarten and sports facilitates. All existing learning areas were refurbishment and modernised to provide spatially and acoustically appropriate, flexible and adaptable teaching and learning environments, in keeping with the schools contemporary teaching ethos.